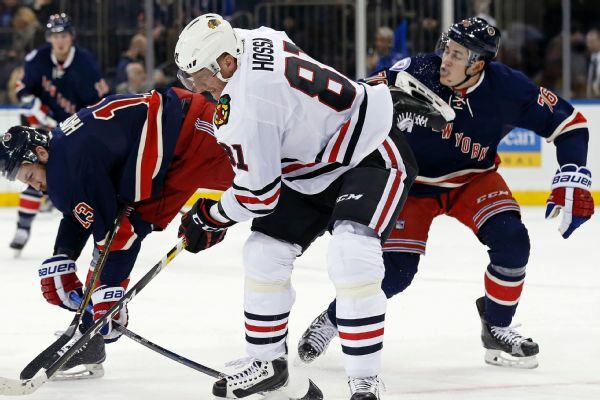 The Chicago Blackhawks traded the contract of Marian Hossa to the Coyotes in a seven-player, multipick deal. Chicago Blackhawks winger Marian Hossa told the Slovakian publication Novy Cas, "I will not play hockey anymore," in an interview published Saturday. 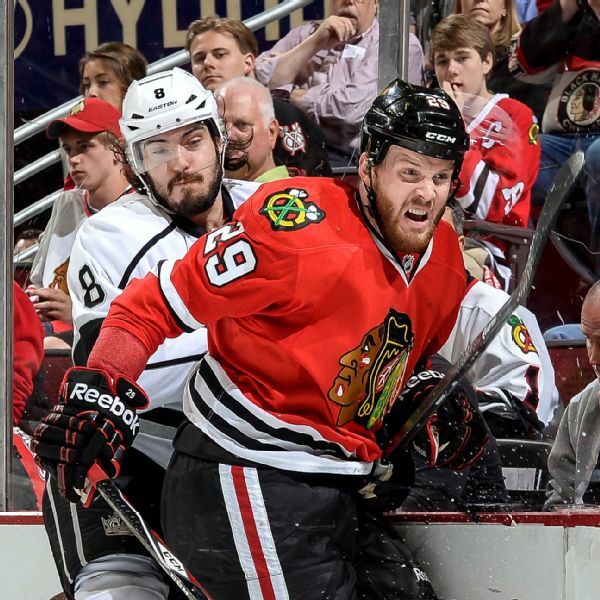 Bryan Bickell, who has multiple sclerosis and announced his retirement in April, has signed a one-day contract so he can retire with the Blackhawks. He played with Chicago for nine seasons. Marian Hossa has been a key performer for the Chicago Blackhawks for a long time. They aren't exactly sure what they are going to do without him. 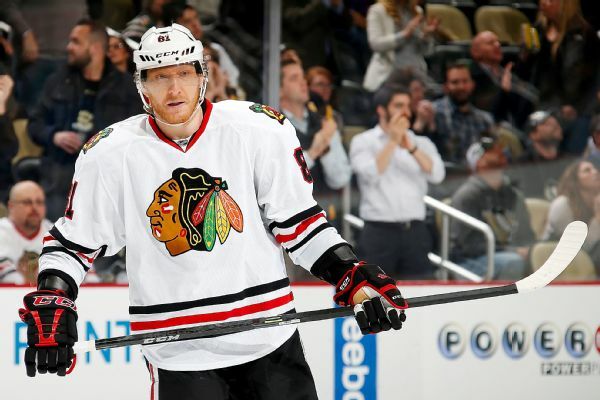 Is Hossa's hockey career over? 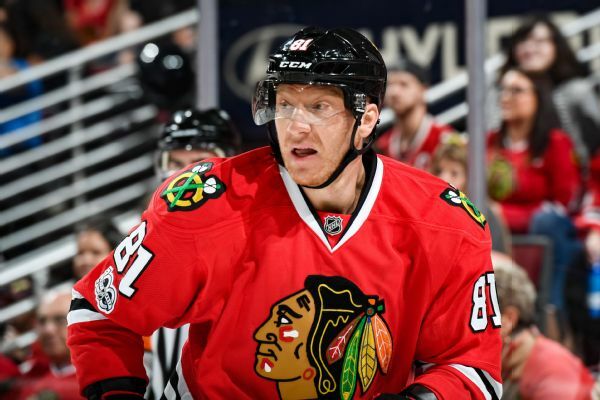 Chicago Sun-Times Blackhawks reporter Mark Lazerus reacts to Marian Hossa missing the upcoming season with a skin disorder. Former NHL player and Minnesota Wild broadcaster Tom Reid tells David Kaplan about his experiences playing with a rare skin condition, which ultimately ended his career. Could Hossa situation clear cap space for Oshie? Sun-Times Blackhawks reporter Mark Lazerus reacts to Marian Hossa skipping the season due to a serious skin condition and the impact it has on the Hawks' salary cap situation. 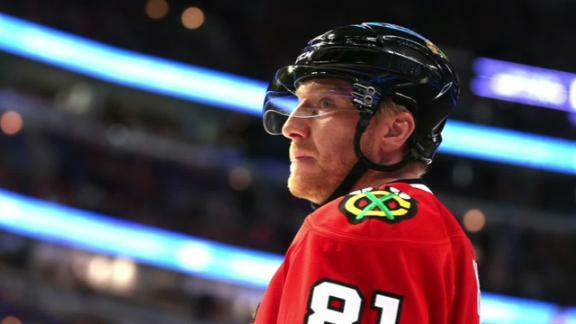 Blackhawks winger Marian Hossa will not play in the NHL in 2017-18 as he continues treatment for a progressive skin disorder, he announced Wednesday.